Tucker tears his stuffed toys to shreds, partially because that’s what dogs do, but mostly because he knows I will buy him new toys. I just can’t resist that face of his. I give this football 7-10 days until he moves onto soccer. 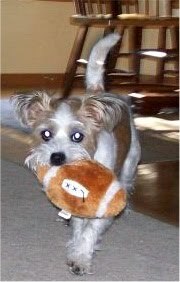 what kind of dog is your little jock? Some type of terrier? 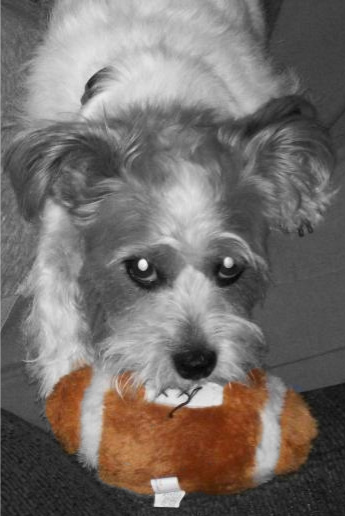 Yes, he's a terrier (we're not sure what kind, probably a Jack Russell) mixed with a Lhaso Apso. His face is too cute, love those eyes too. thanks for letting me know what breed he is.